Reading aloud to a child is an essential part of his development, a simple fact which continues to be reinforced by research on supporting children’s reading development. Children who are read to regularly usually have a larger vocabulary, more background knowledge and comprehension, a better grasp on how reading strategies work, and an opportunity to discuss and develop a stronger understanding about many aspects of life (1). In fact, when parents read with their child, the experience can provide a wonderful setting for developing a stronger bond and discussing current issues. Having a parent model reading is one of the best examples a child can have, especially if the child is a struggling reader. While reading a book to a child is essential, it is also very important to discuss the contents of the book with her. In the book Starting Out Right from the National Research Council, a number of suggestions appear using the CROWD principals as a way to help the child develop reading and comprehension skills while listening and discussing a book (2). All interactions need to be kept light and fun and need to follow the interest of the child. C Completion questions about the language in the book. 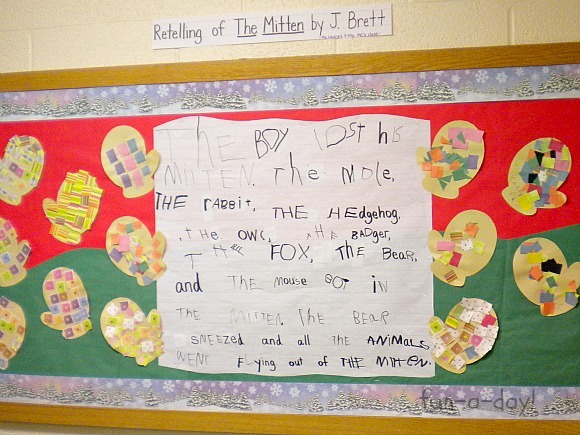 For example, when reading The Tales of Peter Rabbit, “When Mr. McGregor started chasing Peter, he yelled, ‘Stop ______ (Thief)!’ ” The child fills in the blank. While you certainly do not need to turn every book experience into a mini reading lesson, taking time to discuss what has been read is essential. Some of my most wonderful experiences with books have come when I was reading to or with one of my children or grandchildren. Books have brought us closer together and have assisted in helping all of us to become better readers and to develop sharper comprehension skills. It is never too early to begin, and you should make sure you don’t stop too early. I routinely read with my children until they finished elementary school and became too cool to read with Dad. There is a wonderful website called Seussville that offers great suggestions for reading with a child. Pick a comfortable spot to read in – one with plenty of light. Make it a routine – whether it’s right before breakfast or right before bed, set aside a special time every day. Give lots of encouragement! Read the words aloud to your child. Point to the pictures. Say the words together. Laugh with your child. It’s never too early. Reading can be a bonding activity for you and your new baby. Introduce reading in the very beginning, keep books in the nursery, and have your books out for baby and toddler to see! The fun continues after the last page! When you finish a story, ask your child about his/her favorite passages, characters, and illustrations. Every year we see more wonderful books that are especially good for reading aloud to a child. Here is a short list of recently published books that will make reading aloud to your child a delightful experience. (1) Whitehurst, G.J., F.L. Falco, C.J. Lonigan, J.E. Fischel, B.D. DeBaryshe, M.C. Valdez-Menchaca, and M. Caulfield. (1988). 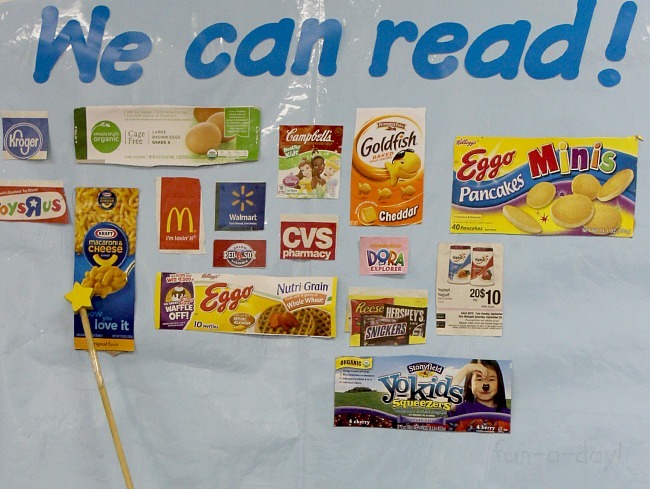 Accelerating language development through picture book reading. Developmental Psychology 24:552-559. (2) National Research Council, M. Susan Burns, Peg Griffin, and Catherine E. Snow, editors. 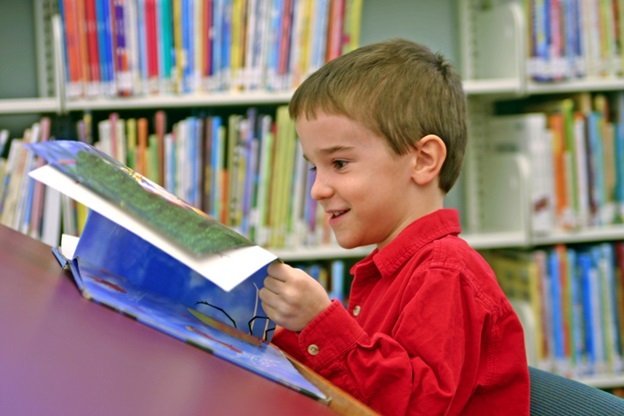 Starting out right: a guide to promoting children’s reading success. 1999. National Academy Press, Washington DC. When I was a classroom teacher, I used music and songs for a variety of reasons. I found that music helped children become engaged in classroom activities. Most children enjoy music and songs, if they are fun and upbeat. Children respond to the presence of rhythm, beat, and physical actions. This type of music is different than forcing children to memorize a lengthy song for a program, which can be very tedious and inappropriate. However, for me, fun classroom songs are a wonderful transition tool to help maintain positive behavior standards while the group moves from one activity to another. Once I understood about the importance of phonemic awareness to pre- and beginning readers, I used music to help children listen for specific sounds and rhyming. I always believed that music and song would help children in many facets of life. Songs with words have always been a tool for helping children learn to read and increase their reading skills. When a teacher teaches a simple song to the class, it is helpful for the teacher to have the words on a chart or board. 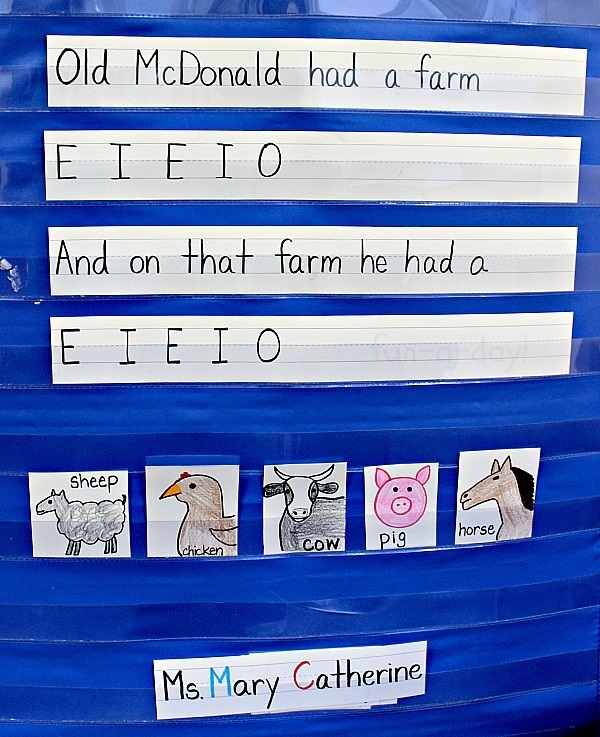 This can help children associate the written word with the spoken word they are singing during the song. Repeating the song over a period of days supports the child in recognizing the written words of the song. Many teachers may give the child her own copy of the song lyrics and allow her to illustrate parts of the song. There is a growing body of research that indicates how singing has the potential for improving reading skills. (**Iwasaki, 2013). From my personal experiences, I can attest to the fact that songs add enjoyment and a visual memory to the reading process. My personal philosophy has always been to find as many teaching strategies as possible to help children succeed. 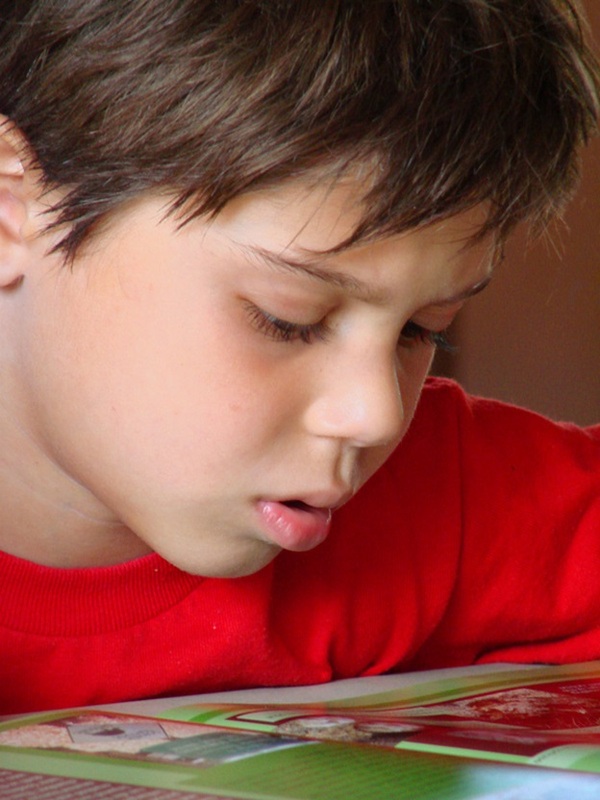 Multiple strategies are especially important for struggling readers. Most of them, including those with a true learning disability, are struggling because they have not been able to master reading under the strategies that have been used in their past. Music could be one more strategy that will help the pre-, beginning, and struggling readers in your classroom. Music that is used in an interesting and engaging manner in the classroom can add a lot of joy and fun to learning. Although there are many different types of music available, I have listed a few of my favorite age-appropriate resources at the bottom of this post. I do believe that music is an additional resource and strategy that can assist a child when learning to read or improving his reading skills. **Iwasaki, B., Rasinski, T., Yildirim, K., Zimmerman, B. (2013) Let’s bring back the magic of song for teaching reading. The Reading Teacher, 67 (2), pp.137-141. Hand Me a Picture Book! One day, my granddaughter and I were reading, We Are in a Book! 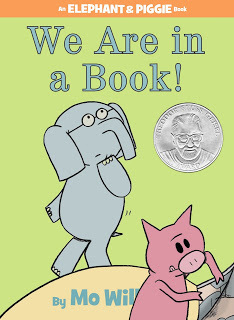 * by Mo Willems. We could hardly finish reading because we were laughing so hard. In the book, Gerald and Piggy discover that they are being ‘read.’ The illustrations show the two looking out at the reader and becoming excited. At one point they celebrate and shout (in large print), “THAT IS SO COOL!” My granddaughter found the pictures more engaging and funny than the text. This happens with picture books, no matter the book or the age of the reader. 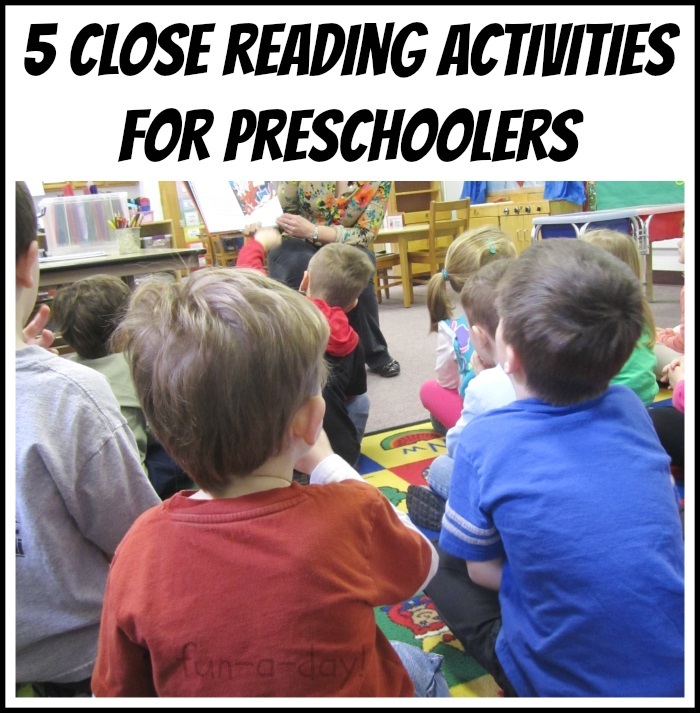 Picture books are essential for the beginning reader and struggling reader. 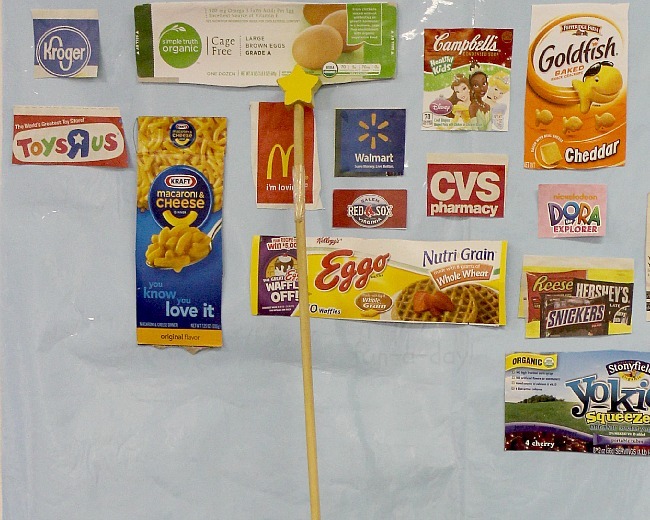 Using picture clues provided in an illustrated text does help the child decode the text. When sounding out or using other word clues does not decode an unfamiliar word for a child, looking at the illustration can often provide additional information for decoding the word. That is why beginning reader picture books, such as We Are in a Book, are so useful to children learning to read. The books not only use short, simple words, but they provide visual clues to what the text is saying. While allowing my granddaughter to read part of the book with me, I noticed that when she struggled with a word she immediately glanced up at the illustration and then returned to the word she was decoding. It was almost like a natural instinct to see where she could find additional information to help her figure out the word that was challenging her. We are so fortunate in 2013 to have an abundance of picture books at our fingertips. Never in history have there been so many resources. Good teachers and parents should continually use picture books with children. Picture books will help a child become a strong reader and increase her/his understanding of the world in general. (1) Martens, P., Martens, R., Doyle, M.H., Loomis, J., Aghalarov, S. (2012). Learning from picturebooks. The Reading Teacher, Vol. 66. Issue 4. Pp. 285-294. (2) Lewis, D. (2001). Reading contemporary picturebooks: Picturing texts. New York: RoutledgeFalmer. (3) Poe, Elizabeth. Reading with my mother. (2013). The Horn Book Magazine, Sept/Oct 2013. Boston, MA. In my preschool class, we read so many books! I love sharing stories with the kiddos, and they really get into the books too. While reading new books is always fun, rereading a book allows the children to get an in-depth look at the story. 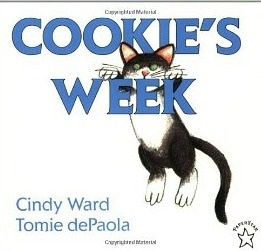 A favorite book of mine is Cookie’s Week by Cindy Ward (and illustrated by Tomie dePaola). It tells the story of a cat named Cookie who gets into all kinds of mischief Monday through Saturday. 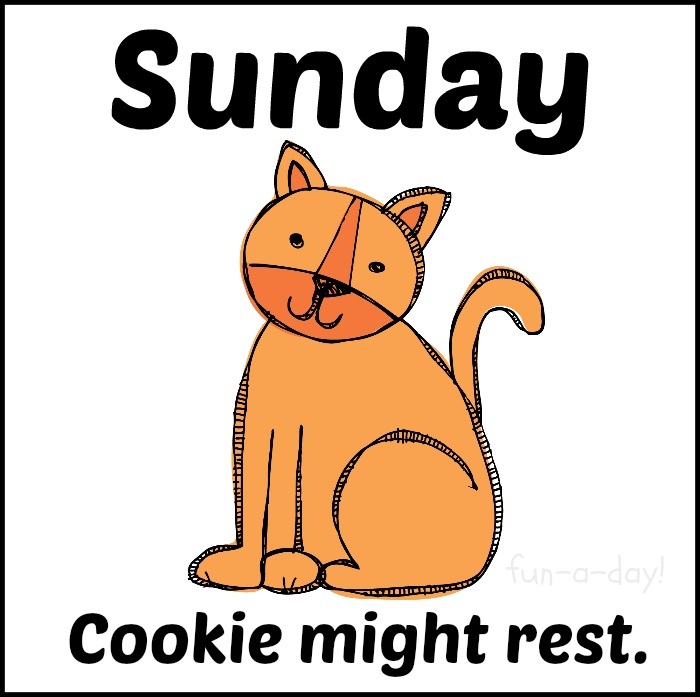 There’s a “cliffhanger” on Sunday, suggesting that maybe Cookie will rest. I like using the big book version for close reading, as it draws the children in and the text is larger. 1. Ask the children questions that get them thinking about the book. “What do you think Cookie will do next? Do you think Cookie will rest on Sunday? After they’ve answered, ask what in the book led them to their conclusions. 2. 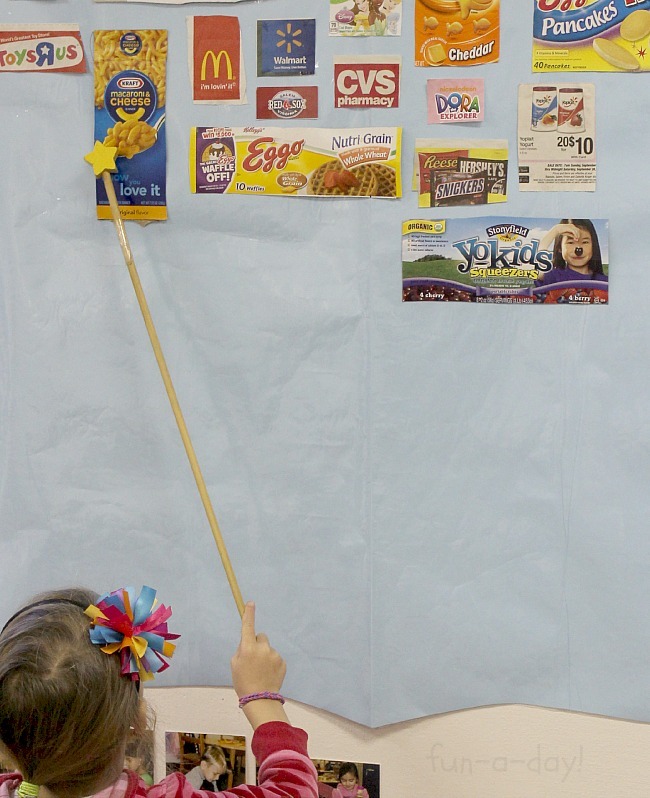 Create a chart about the story together. For Cookie’s Week, a list about all of the mishaps Cookie has would be great! Remind the kiddos to refer back to the book to check. 3. Make a storyboard based on the book. Work with the children to write about each day from Cookie’s Week, stating what happened in their own words. Students can then add pictures to the class story. This would be a great addition to the bulletin board of any classroom! 4. Have the children make a class book extending the story. Each child can write what he thinks Cookie will do on Sunday or during the next week. Again, this allows for inferences based on the information found in the book. 5. Create story necklaces based on the book. For Cookie’s Week, there would be seven such necklaces, each labeled with the day of the week and showing a picture of what happened that day. Choose a child to wear each of the necklaces, and then let the class work together to put them in the correct order. Again, refer the kids back to the book! Mary Catherine is mama to a six year-old kick in the pants, and the force behind Fun-A-Day! She is a pre-k teacher who has also taught kindergarten and Reading Recovery. Mary Catherine is passionate about early literacy and fun, meaningful learning experiences for children. She loves science fiction, dark chocolate, and messy science experiments with her son! You can connect with her on Facebook, Pinterest, and Twitter.